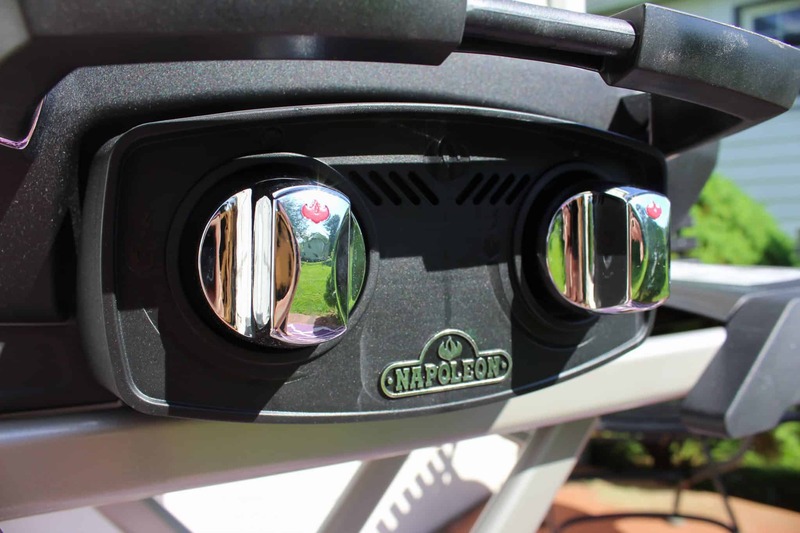 Not long after Napoleon Grills released their list of Top Ten Grilling Cities in America (one of which being only an hour from where I live), they introduced three brand new, top-of-the-line grills: the Rogue 425, the Prestige PRO 665, and the compact and portable TravelQ. 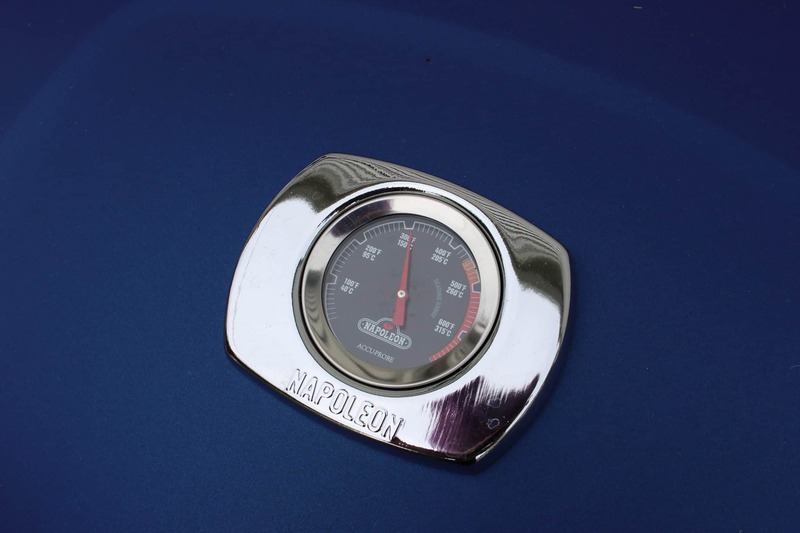 All three grills host an impressive array of features including interchangeable ceramic grids (that can be swapped out with cast iron skillets), a patented ignition system that guarantees a light every time, and a built-in temperature gauge to help you cook your meals to specific perfection. To be honest, I haven’t grilled in over 12 years. One bad mishap with a propane-fueled borrowed set up cost me an an eyebrow, some eyelashes, part of my scalp and portions of the skin of my right hand, as well as the cost of an emergency room visit and the pain of letting second degree burns heal. 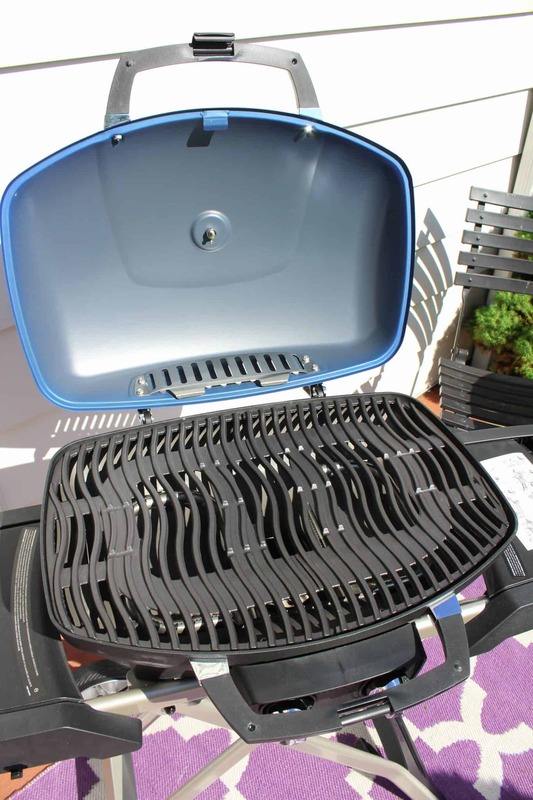 So if there’s anyone more trepidatious regarding using a grill, never mind a travel grill, it’s me. However, after just one go-round with this little powerhouse I foresee a great deal of grilling in my future this summer. This tiny little beaut only weighs in at 28 lbs and folds up to approximately the same size as a golf bag. 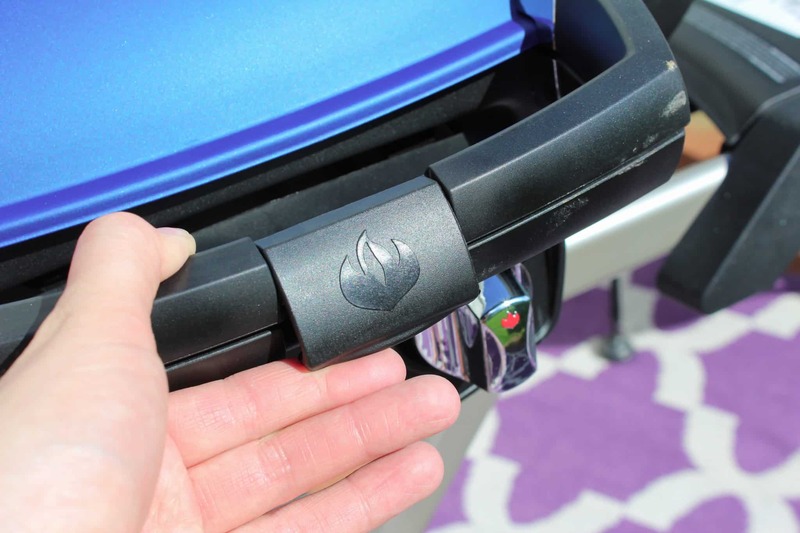 It has instructions for using a camping propane tank as well as a traditional propane tank. So when I’m finished and the grill has cooled, I can store this away instead of taking up precious back porch real estate or even take it with me to an event without much hassle. I particularly liked the latch on the hood handle — that way no curious little hands could befall a similar fate to mine all those years ago. 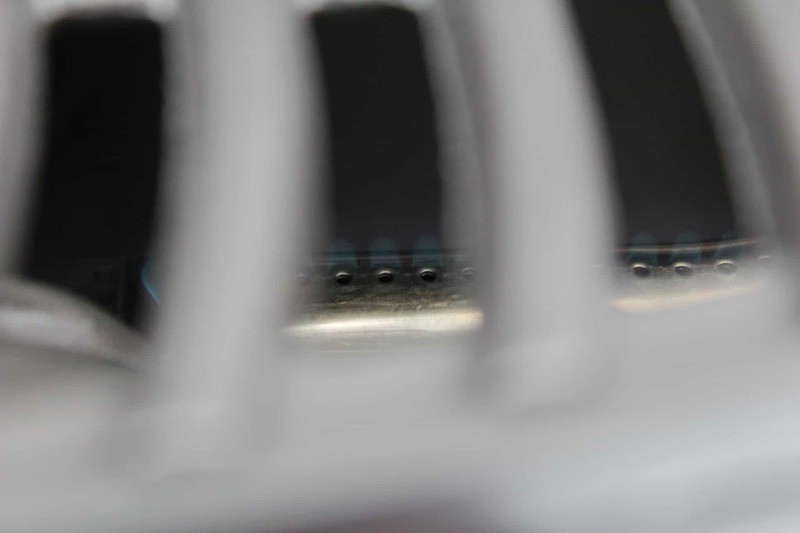 The dual burners on this unit each have their own controls, which are eerily quiet upon starting — to the point I didn’t actually believe that the ignition had caught and held — until I zoomed in with my camera. Indeed, lighting each burner was painless and fluid, leaving me slightly more at ease with my once-nemesis. 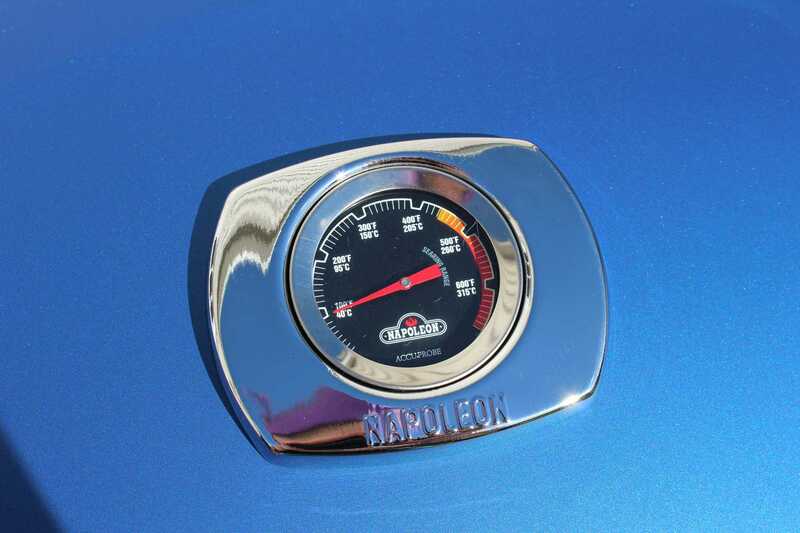 And as the built-in temperature gauge indicated, this tiny giant can heat up FAST. Any and all worries I held about under cooking my dinner dissipated. Not only did I know this machine and it’s flames were not going to attack me, but I wouldn’t likely be dealing with food poisoning the next day, either. These are very big concerns when you haven’t grilled for nearly half of your adult life. The layout of the grill cooking plates with the Napoleon patented wave technology made it super easy to cook my marinated chicken without feeling like I was losing any of the juiciness or flavor from my meat of choice. And knowing that I can swap out these plates for cast iron griddles makes me feel like some outdoor camping-like breakfasts are on the agenda for this summer. 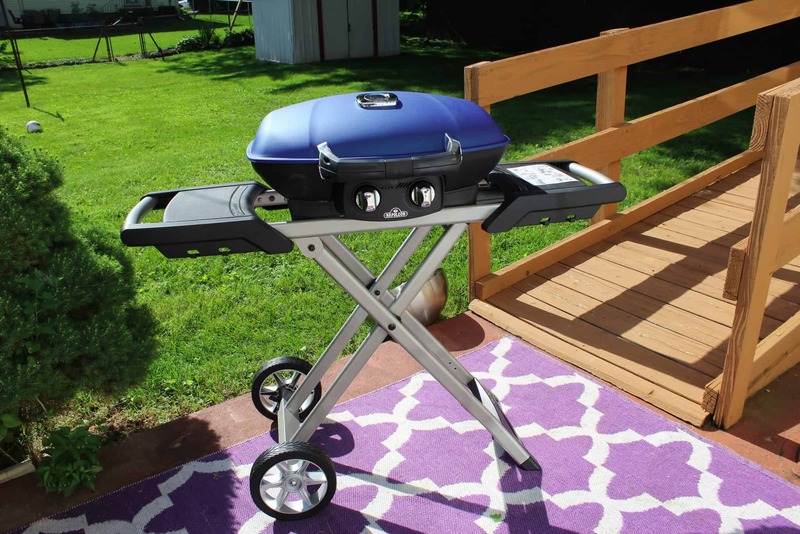 If the TravelQ can offer such superior technology in construction and efficiency, the extra burners, grill space, and added features like a wood chip smoker and infrared burners of the Rogue and the Prestige are sure to up the ante on your backyard celebrations and family meals alike.